Antara Telang from Mumbai travelled to North East India and she stayed at OK! North East Guest House in Guwahati. 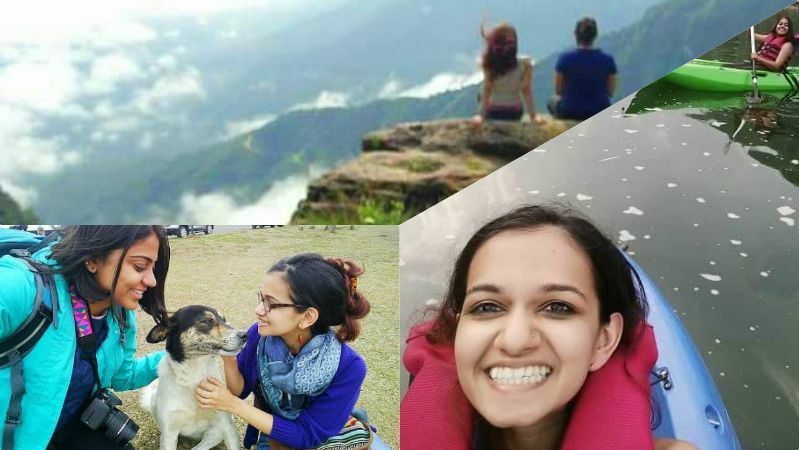 She went to Meghalaya with her friend and here's her story about her experiences. "I travelled to Meghalaya as a woman and understood what male privilege feels like!" No matter how early we set out or how dark it was by the time we got back to our base, we had this overwhelming feeling of safety. As a woman, walking down a street in most of India means certain things. Chances are, no matter what you’re wearing, what time of the day it is, or where you are, you’re going to get stared at, commented on, sung at, touched, photographed, or a beautiful combination of all of the above. Being a woman who likes to backpack across different places in the country, I’ve seen that this has been a universal experience – though perhaps in varying degrees of intensity – no matter where I’ve travelled, whether it’s been in Maharashtra, Delhi, Punjab, Kerala, Karnataka, Himachal Pradesh, Goa, or Assam. But, a couple of months ago, on a trip to Meghalaya, I was filled with a sense of wonder. Sure, the views were jaw-dropping levels of gorgeous, and I was filling my tummy with delicious pork and beef specialties that I’d never get in my home city of Mumbai, but the best part was truly the feeling of walking around and feeling “like a man”. Nah, I didn’t ingest an exotic substance that made me gain a couple of inches (I meant of height, what were you thinking?) or grow a moustache. My voice didn’t get a whole lot deeper and I didn’t develop a sudden disdain for my flowery night shorts. It’s just that I was given a teensy, temporary insight into male privilege. I was travelling with a woman friend, Aamna Khan, and given that the two of us were on a budget, we often had to walk or wait for public transport from place to place. It didn’t help that it got pitch dark by six every evening and that public transport was usually restricted to a share taxi of some sort. But no matter how early we set out or how dark it was by the time we got back to our base, we had this overwhelming feeling of safety. It wasn’t just that we weren’t getting felt up (or worse); we felt it in the smallest things. Though we looked very much like tourists with our backpacks and cameras, nobody forced conversation with us. When they did speak to us, everyone was exactly the right level of friendly – curious about where we came from and where we’d be travelling without being overly specific, without questions of how much money we were spending or whether our families were okay with us travelling alone (which are real questions we’d both been asked multiple times while travelling in other places). The kids who stared at us were only excited about waving at us and yelling out “hellooooo!” from their school buses. Women weren’t judgmental about what we wore or how loudly we spoke. Men smiled at us and wished us luck on our travels. They didn’t stare at us hoping to develop X-ray vision to see through our clothes the way a lot of men in the rest of our country do. When squeezed next to us in share cabs – despite the fact that there were usually five other people in the back seat of an Alto – they took care to ensure that we were comfortable. They avoided ‘innocuous’ brushes of their hands against our bodies, and some of them even asked us if we minded that they were playing Khasi music in the car. We stood out like sore thumbs (for one, we were nowhere close to as well-dressed or attractive as the local women), but nobody took photos of us without our consent. We even spent one night at a campsite run by five men in the middle of nowhere, where we were the only two women, without the slightest discomfort (excluding the bugs that we’d inevitably find in the folds of our clothes). Because I am a disabled woman, I am used to even greater scrutiny and questions than nondisabled women are, but even that didn’t really make much of a difference to people in Meghalaya. If you’re a man reading this, you’re probably thinking, “What’s the big deal?” But like I mentioned earlier, living each day like this for nine whole days at a stretch without exception was a shocker for my friend and me. Every evening when we’d come back, we’d look at each other with incredulity that yet another day had passed without lecherous vultures swooping down on us in one way or another. While one cannot deny the privilege my friend and I carry – of being well-dressed, English speaking, upper caste, urban women – the fact remains that we have never felt so safe from daily gender violence as we did on that trip to Meghalaya. I think a large part of this can be attributed to Meghalaya’s largely matrilineal culture. Though not a matriarchal society, women enjoy a far better position there than in most other parts of India, and indeed the world. It is common to see businesses completely run by women, and for women to be roaming freely on the streets. Whatever the root cause may be, I’ve never felt that way in my adult life, no matter which part of India or the world I’ve travelled in. And it’s for that reason (okay, yes, maybe the pork curry is another major reason) that I’m sure I’ll visit again.